The city that treasures India’s longest urban beach also makes its way to be the fourth largest metropolis in India. Chennai is one of the must-visit places in Tamil Nadu where the greatest assets are its people who constantly devoted to their land. Surrounded by culture, heritage, and rich southern lifestyle. It is not possible run-in the many tourist attractions the city possesses. Chennai is the 4th largest city of India and is also the leading commercial centre of South India. You can find so many best places to visit in Chennai. Mahabalipuram is situated in Kanchipuram district in the state of Tamil Nadu. It is popular for its shore temples built in the 7th century. It is one of the must-visit weekend getaways from Chennai for one day trip. This also a major heritage / historical site in Tamil Nadu and one of the best places to experience Tamilnadu Tourism. The Shore Temple stands beautifully on the towers over the waves, behind a protective breakwater. There are sixteen man-made caves in different stages of completion are also seen, scattered through the area. The awe-inspiring features in all the sculptures here are monolithic – giant structures carved from single rocks. The Mamallapuram temple, built largely during the reigns of Narasimha Varman and his successor Rajasimha Varman, showcase the movement from rock-cut architecture to structural buildings. Mahabalipuram is one of the best the places to visit with friends for the weekends. 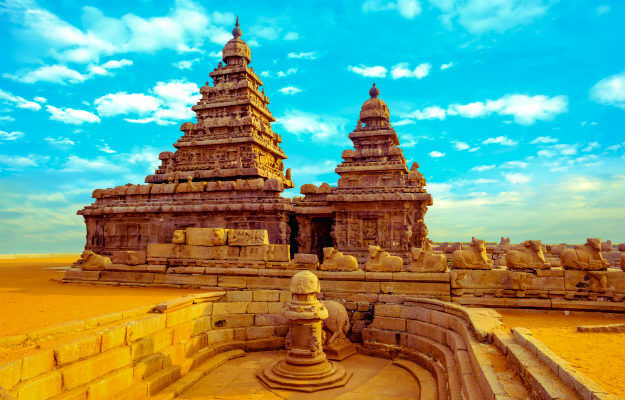 The Pancha rathas and mandapas shaped as temple chariots are made from the granite rock face, while the famed Shore Temple, erected half a century later, is built as a structured temple with huge blocks of rocks following wonderful architecture. Cholamadal Artist’s Village, Thirukadalmallai temple, Mahabalipuram Beach, Tiger Cave and Crocodile Bank serve as popular picnic spots for people. 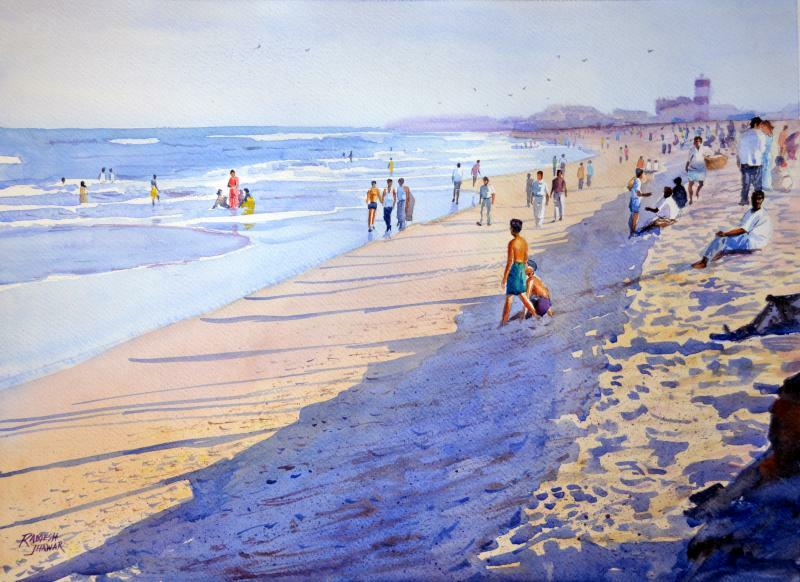 Marina Beach is a largest and natural urban beach along the Bay of Bengal. This beach is stretched out to a distance of 13 kilometres making it the longest natural urban beach in the country, second largest in the world and also the most crowded beach in India with almost 30,000 visitors a day. In Marina beach has statues of heroes from the Tamil culture such as Anna and MGR, a salute to their never-ending efforts to make Tamil Nadu a fast-growing city of India. In an endeavour to make this beach the hotspot for tourism, an aquarium has also been constructed on the Marina Beach. In beach white sandy shore that looks as though extending to infinity, the landscape of Marina Beach is a mesmerising and serene sight to behold. The Marina beach has a primarily sandy terrain and is a breeding ground for olive ridley sea turtles as well. You can walk along the Marina beach with your near and dear ones or even all alone and enjoy the cool evening sea breeze along with a hot plate of crispy sundal and murukku. Watching the sun creep upwards into the sky or even disappear into the ocean from the beach, is an awe-striking and enchanting experience. In Chennai, there are a lot of Mall where you can spend good time with family and friends. Malls are the common destination to go with friends, nothing can go wrong here. There is plenty of sightseeing to do many stores to go try some new arrivals, watch the latest movies and most importantly find a perfect spot and grab some munchies in the food court. Chennai has many such hangout places for friends but Express Avenue, Phoenix Forum Mall is by far one of the most preferred ones. Maybe for its arcade gaming which is said to be the largest in South India. Fun City mainly consists of soft play games such as multi-levelled crawl tunnels, rope bridges and lots of ball pools. There are also many other activities for children like Kiddie and Big Rides that consist of indoor roller coasters and crazy gliders. It is a fun halting place for your kids to have an engaging day. 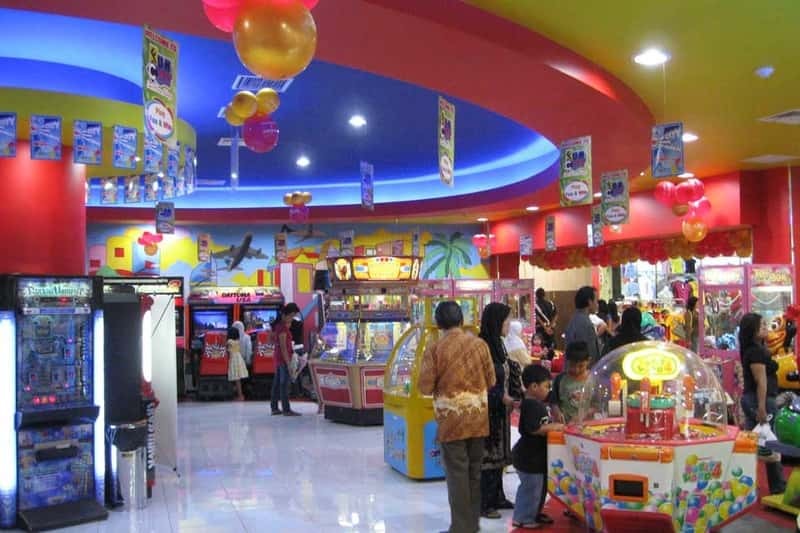 Fun City has many vents and it happens to be located mostly inside the shopping mall. 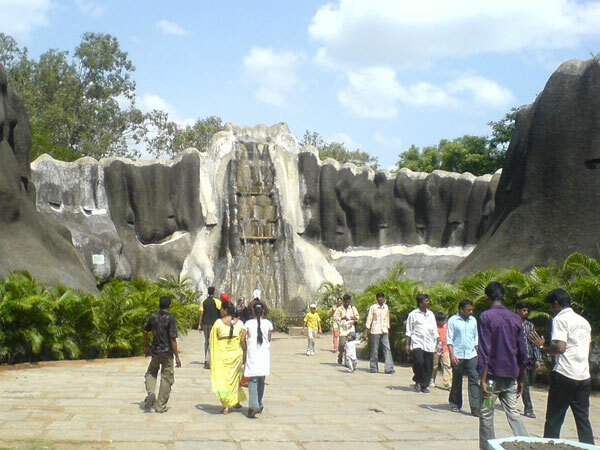 The Vandalur Zoo is located within the Vandalur Reserve Forest area. The zoo ecosystem consists of and dry evergreen dries deciduous scrub forest vegetation of the Eastern Ghats, a degraded forest consisting of mostly thorny bushes, receiving an average annual rainfall of 1,400 millimetres and an average annual temperature of 26 ° C.
The landscape is a gentle undulating one ranging in altitude from 10 to 100 metres with an average elevation of 50 metres above sea level. The zoo was designed to keep the natural vegetation of the area intact except where enclosures, roads, and structures had to be constructed. The full campus has been fortified by means of a compound wall, preventing any biotic interference in the park and allowing the natural growth of vegetation, which gives the park the look of a natural forest. The Vandalur zoo is built based on the ‘open zoo’ concept. The evidence was originally based on the taxonomic and geographical distribution of the species, but have now been replaced by ecological niches and habitats. The priority order is local species, followed by regional, national, and international species. The moats use has made it possible to house predator and prey in extended enclosures that provide a panorama of wildlife. There are around 75 moated enclosures in the park. Intensify in the form of ladders, climbing materials, etc. These are provided for the animals to move around the enclosure freely.